On what was supposed to be a season of joy and celebration, the Phoenix Suns could not deliver a winning product to their fan base. They posted their second worst record in franchise history on their way to the No. 1 pick in the draft. Now it is time for Phoenix to cash in on their investment. 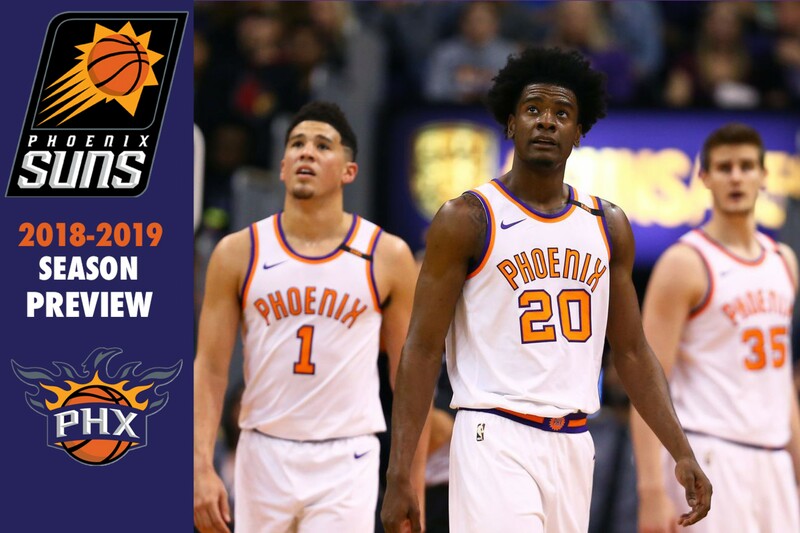 The 2017-18 season marked the 50th anniversary of the Phoenix Suns organization. While most of the season was about celebration about what happened in the past, it was hard for everyone to ignore what was going on in the present. Phoenix's 21-61 record makes the second worst record in franchise history, with four of the Suns' worst losses occurring in one season. On their way to the No. 1 pick, the Suns finished with the worst record in the NBA. Now that the dust has settled, The Timeline is near its completion. With an exciting rookie group mixed in with talented veterans, this could be the turn around general manager Ryan McDonough had promised. Here is a preview of the 2018-2019 Phoenix Suns. After starting the season winless in three attempts, Earl Watson was fired as head coach. After the firing of coach Watson, the Suns promoted Jay Triano to interim head coach. Triano finished the season 21-58. In the offseason, the Suns interviewed 10 candidates, including Triano, in hopes of finding their next head coach. 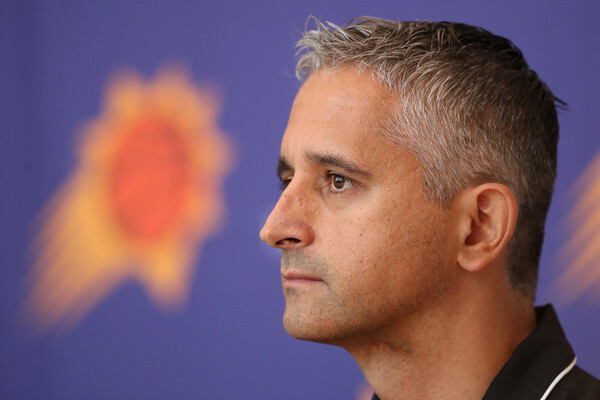 Phoenix crossed off their first box on their offseason to-do list back in May with the signing of head coach Igor Kokoskov. It was a homecoming of sorts as Kokoskov was an assistant coach with the Suns before. Kokoskov has been widely considered as one of the finest assistant coaches in the NBA. He has coached 18 seasons in the NBA with the Los Angeles Clippers, Detroit Pistons, the Suns, Cleveland Cavailers, Orlando Magic and Utah Jazz. With a track record of developing young talent, Devin Booker, Josh Jackson, Marquese Chriss, among others have plenty to be excited about. If Kokoskov can get the best out of guys like Dragan Bender and Marquese Chriss, that will help things out dramatically. Kokoskov can possibly get Booker to reach All-Star potential. He will have a positive impact on their year's rookie class as well. With the first pick in the 2018 NBA Draft, the Phoenix Suns' selected Arizona center Deandre Ayton. Ayton is the center that the Suns' have been searching for. Ayton brings double-double possibilities, while being able to step out and play defenders. Ayton measured at a massive 7’0.5 in shoes with a 7’ wingspan and 250-pound frame. He compliments his size with terrific movement running the floor and protecting the paint. Ayton can trap pick-and-rolls hard, switch and contain, and even has contained guys on closeouts. Fans got an idea of what Ayton brings to the table during the 2018 summer league. Ayton averaged 14.5 points and 10.5 rebounds in four appearances in the Las Vegas Summer League, going up against fellow rookies Marvin Bagley III and Mohamed Bamba. Ayton hopes to be an All-Star in his rookie year and is a contender for Rookie of the Year. With the 16th selection, the Suns traded the rights for Texas Tech guard Zhaire Smith and the Miami Heat's 2021 first round pick to the Philadelphia 76ers for the tenth overall pick, Mikal Bridges from Villanova University. Bridges brings defensive stability to a team that was the worst statistically in the NBA a season ago. He also adds another three-point sniper to the lineup, something that wasn't there last season either. When on the floor he will be given the task of shutting down the other teams best scoring option while complementing scorers Devin Booker and Josh Jackson. With their third pick they invested in French point guard Élie Okobo and and used their fourth pick in the draft on Colorado shooting guard George King. To kick off free agency, Phoenix elected not to renew the contracts of Alex Len and Elfrid Payton thus making them unrestricted free agents. The Suns did not pick up the two-way contracts of Alec Peters and Danuel House thus making them free agents. The contracts of Tyler Ulis and Alan Williams were waived to create more salary cap space. July 1, the Suns agreed to terms with former Houston Rockets forward Trevor Ariza on a one-year deal worth $15 million contract and was signed on July 6. Ariza was considered their top free agent priority that season. On July 20, they announced that they had retained both Davon Reed and Shaquille Harrison, and also executed two separate trades. The first trade saw Jared Dudley and the 2021 protected second-round pick going to the Brooklyn Nets in exchange for Darrell Arthur. The second trade saw ​Richaun Homles landing in Phoenix in exchange for cash considerations to the Philadelphia 76ers. This is probably the most talented team the Suns have had since the 2013-2014 or the 2014-2015 Suns teams. By the end of the season, they could be in the conversation as the 2010 team that made the Western Conference Final appearance. Currently, the Westgate Las Vegas SuperBook has Phoenix' over-and-under of wins at 28.5 wins. That would give the Suns an eight game improvement with potential to grow by 10 to 15 games. This season should be the last one the Suns experience any type of growing pains. Next summer, they will be in play for a superstar point guard that will fill in the missing puzzle piece. Looking into the present, it will be all about the growth of the core that the Suns are working with. Ayton will eventually stand tall with the Joel Embiid, Karl-Anthony Towns, Anthony Davis, Rudy Gobert and some of the other centers the NBA has to offer. How he handles it will go a long way. Does Josh Jackson show improvement? Do either Marquese Chriss or Dragan Bender have a break out season? Will the log jam at the forward position have an impact on T.J. Warren or Trevor Ariza? The biggest story line that everyone Suns fan will be watching closely is will Devin Booker emerge as an All-Star? Over the course of three seasons the 21-year-old has shown flashes of All-Star capability, but it has never fully come together. This will be the year that he steps onto the hardwood and cement himself as an All-Star. 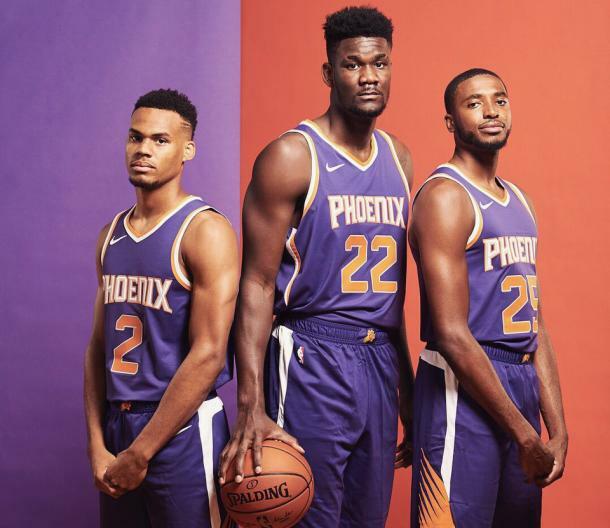 Even with the Suns limitations, the should be a fun team to watch this season. 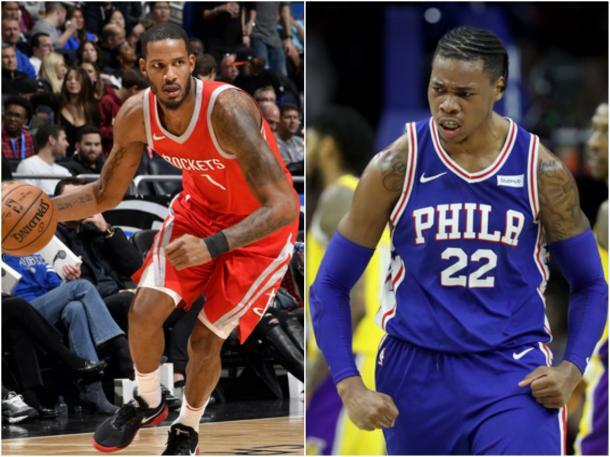 Yes, they are still a little ways from competing in a crowded Western Conference, but this season will go a long way in telling where they can stack up against the West next year.